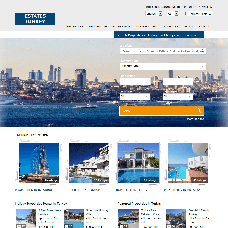 EstatesTurkey.com provides clients with both sales and rentals covering the area from Aegean, Mediterranean, Marmara cost, Istanbul, Bodrum, Kusadasi, Fethiye, Kalkan, Antalya. The agency is based in London and has several offices across Turkey. The site was launched in 2014. "I am very pleased with your software programme, that is very useful. There is no enough words for the support and sales team especially Kate wonderful she is helping me long time to developing the page they are absolutely star and very friendly even in the night 00:00 o’clock immediately reply the questions big tanks Evgeniia and Inga as well. I will definitely highly recommended to my friends Pilot Group."